ZapataÂs death sparked an outcry from western capitalist media and official sources, including of course the United States. Almost without exception, in literally thousands of reports the corporate media portrayed him as a Âpolitical prisonerÂ and a Âpolitical dissidentÂ — without offering any supporting specifics. In March 2010 the European Union voted to condemn Cuba for his demise. Since 2004, Amnesty International has treated Zapata Tamayo as one of CubaÂs 75 Âprisoners of conscience,Â without offering evidence to buttress this assertion. Like the western media, Amnesty failed to specify what were the political activities that had led to ZapataÂs imprisonment. Cuban doctors attempted to keep Zapata alive with intravenous feedings and other stratagems. One psychologist testified that she tried to convince him to cease the hunger strike and try to register his grievances by other means. ZapataÂs mother remarked that her son had the best Cuban doctors at his bedside and she thanked them for their assistance. Later she would change her story and claim that he was a ÂdissidentÂ who had been mistreated. In comparison to the mediaÂs tidal outcry on behalf of Cubans imprisoned in Cuba, consider the coverage accorded the five Cubans imprisoned in the United States. During almost 12 years of incarceration, the Cuban Five have been largely ignored by the corporate media and consequently remain mostly unknown to the US public. The Five possessed no weapons and committed no act of terror, sabotage or espionage. Gerardo Hernandez, Fernando Gonzalez, Ramon LabaÃ±ino, Antonio Guerrero and Rene Gonzalez came to the United States during the 1990s to infiltrate and monitor the terrorist activities of private right-wing groups of Cuban exiles. The information they gathered in their undercover work was forwarded to the Cuban government which in turn passed much of it on to the US government with the understanding that the two nations were now supposedly cooperating in a war against terrorism. In 1998 after receiving evidence of impending terrorist activities planned against Cuba, the FBI went into action. But instead of arresting the right-wing Cubans who were planning the attacks from US soil, the feds apprehended the five Cubans who were working at uncovering such plots. The five were tried in a federal court in Miami, home to over half a million Cuban exiles. 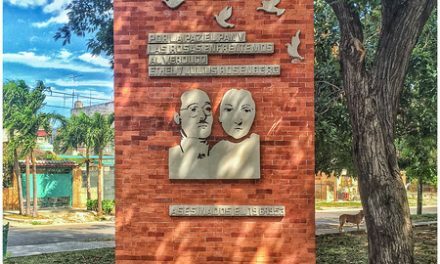 Miami is a community with a long history of hostility toward the Cuban government—a record that a federal appellate court in the United States later described as a Âperfect stormÂ of prejudice, designed to make a fair trial impossible. Of those who have managed to hear about the Cuban Five through alternative channels, many have denounced the unfair and unwarranted convictions. On March 6, 2009 in an unprecedented show of support, twelve amicus briefs called upon the US Supreme Court to review the case. Numbering among the Cuban FiveÂs supporters were ten Nobel Prize winners, the entire Mexican Senate, the National Assembly of Panama, members from every political group within the European Parliament, including three current vice-presidents and two former Presidents, and hundreds of lawmakers from Brazil, Belgium, Chile, Germany, Ireland, Japan, Mexico, Scotland and the United Kingdom. If US rulers really are interested in fighting oppression and injustice, they might start closer to home. Thus far President Barrack Obama has shown no interest in the case. (Why does this not surprise us?) But other more genuine souls at home and abroad continue to press for justice. Michael ParentiÂs most recent books are God and His Demons (Prometheus, 2010) and Contrary Notions (City Lights, 2007). Alicia Jrapko is the coordinator in the US of the International Committee for the Freedom of the Cuban Five.